Welcome to the November 10, 2017 edition of ACM TechNews, providing timely information for IT professionals three times a week. Will Energy-Free Computing Reactions Ever Take Place? Researchers at Tel Aviv University in Israel and Facebook have been developing a tool that can take a single image of a face and create an animated version that puts on either a happy, sad, or angry expression. The team says the tool uses "base" video of another completely different person, who does not have to be the same gender or even look remotely similar. That second person's expression is mapped onto the still image and then warped so it starts to look like an animated expression. However, when a person smiles, they often go from not showing any teeth to showing all of their teeth. Based on a single image, the system does not necessarily know what the person's teeth look like, so it has to borrow visual data from the helper video. "We found that if we change the teeth people don't notice too much," says Tel Aviv University's Hadar Averbuch-Elor. Researchers at the University of Perugia in Italy conducted a proof-of-concept experiment as part of the European Union-funded LANDAUER project to reduce the energy consumption of data processing. Perugia's Luca Gammaitoni says the project demonstrated a flaw in the fundamental understanding of the Landauer Principle, the axiom that any transformation of information occurring in a computer requires energy, thus making zero-power computing impossible. The team constructed an electromechanical OR logic gate comprised of a cantilever that bends in response to voltages applied to probes close to the tip, enabling mimicry of a logic gate consisting of a transistor. They calculated the power needed to execute a single logic operation, and found that it could be performed with an energy toll that was only 5 percent of the expected Landauer Limit. "Our goal is to build an entire computing device to show that you can do all of the computation," Gammaitoni says. 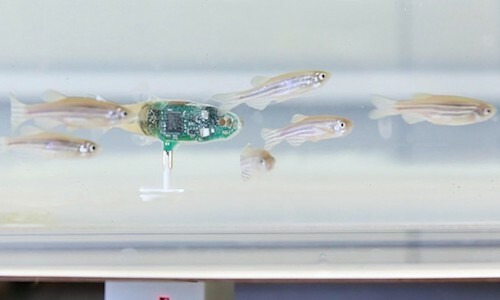 Researchers at the Swiss Federal Institute of Technology in Lausanne, Switzerland, working in the Robotic Systems Laboratory (LSRO), have developed a miniature robot that can integrate perfectly into schools of zebrafish. The team says the robot can swim with fish, learn how they communicate with each other, and make them change direction or come together. The robot is equipped with magnets that link it to a tiny engine installed under the aquarium to propel it through the water. The researchers wanted to develop a closed-loop system in which the robot is able to influence the fishes' behavior and adapt its own behavior by learning how to communicate and move like natural fish do. "The fish accepted the robot into their schools without any problem," says LSRO researcher Frank Bonnet. "And the robot was also able to mimic the fish's behavior, prompting them to change direction or swim from one room to another." Researchers at the National University of Singapore (NUS) have developed MantaDroid, an aquatic robot that can mimic the swimming motion of manta rays. The team notes the robotic manta ray swims at the speed of 0.7 meters each second, can operate for up to 10 hours, and could be used for underwater surveillance. The researchers designed and optimized MantaDroid after two years of in-depth study of fluid dynamics and multiple experiments, which included testing 40 different fin designs. "MantaDroid is powered by only one electric motor on each fin," and the passive flexibility of the fins interacts naturally with the fluid dynamics of the water to propel the subsequent motions, says NUS professor Chew Chee Meng. The next phase of the project will involve testing MantaDroid in a sea environment to study its swimming capability at different depths and its ability to withstand underwater currents. Researchers at the University of Edinburgh in the U.K. have taught artificially intelligent machines to study the TV show "CSI" and identify the perpetrator in each episode. The researchers mapped footage, script, and background sounds from five seasons into a machine-readable format, and then fed data into a computer model that learned to process the plot as each episode unfolded, continually reevaluating the criminal's identity. The researchers found the computer correctly identified the perpetrator during the final part of an episode 60 percent of the time. Meanwhile, humans who watch the same shows could identify the perpetrator 85 percent of the time. "Pinpointing the perpetrator in a TV show is a very difficult task for computers, but our model performed encouragingly well," says the University of Edinburgh's Lea Frermann. "We hope our findings will aid the development of machines that can take on board--and make sense of--large streams of information in real time." Researchers at the National Research University Higher School of Economics (HSE) in Russia have developed an automatic system that can identify emotions in the sound of a voice. The HSE researchers trained a neural network to recognize eight different emotions, including neutral, calm, happy, sad, angry, scared, disgusted, and surprised. They say in 70 percent of cases, the system correctly identified the emotion. 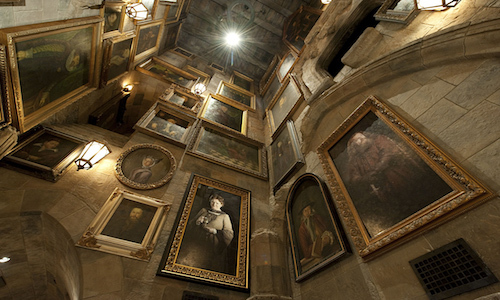 The team transformed the sounds into images, or spectrograms, which enabled them to work with sound using the methods originally developed for image recognition. The researchers also used a deep-learning convolutional neural network with the VGG-16 architecture. The team notes the system successfully distinguished between neutral and calm tones, while happiness and surprise were not always correctly identified. The researchers found that happiness was often perceived as fear and sadness, and surprise was interpreted as disgust. Researchers at the University of Cambridge in the U.K., working with colleagues in China and Italy, and elsewhere have demonstrated the ability to print graphene directly onto fabric to produce fully integrated electronic circuits that can endure up to 20 cycles in a washing machine. 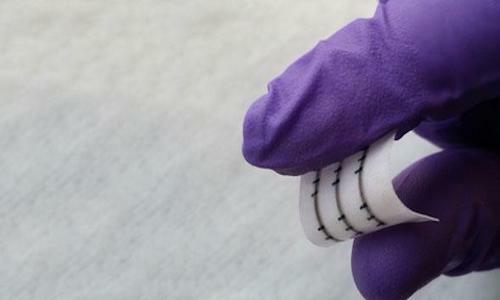 The team designed low-boiling-point inks that were printed onto polyester fabric, while modification of the fabric's roughness enhanced the devices' performance. "Our process is scalable and there are no fundamental obstacles to the technological development of wearable electronic devices both in terms of their complexity and performance," says Milan Polytechnic University professor Roman Sordan. The researchers note their accomplishment opens up various commercial opportunities for two-dimensional material inks, including personal health and well-being applications, wearable energy harvesting and storage, military garments, wearable computing, and fashion. "The printed components are flexible, washable, and require low power, essential requirements for applications in wearable electronics," says the University of Cambridge's Tian Carey. Researchers at the Czech Technical University in the Czech Republic and the University of Paderborn in Germany have introduced a new computing problem, called Gaussian boson sampling, which they say would be nearly impossible for a classical computer to solve but theoretically could be efficiently solved with quantum techniques. The task is to find the probability of measuring certain patterns of photons emerging from an optical system given certain input configuration of photons, and several teams have tried solving it using quantum optical experiments. However, many researchers have struggled to generate the required large number of single photons. The European researchers attempted to make it easier to achieve larger numbers of photons in boson sampling experiments using Gaussian states. 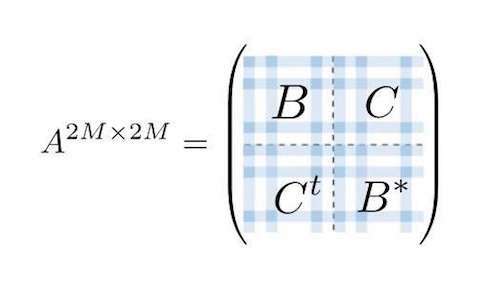 They showed Gaussian boson sampling is related to a matrix function called the Hafnian, a problem that cannot be solved by conventional computers, and could serve as another tool to determine where to differentiate between classical and quantum computers. 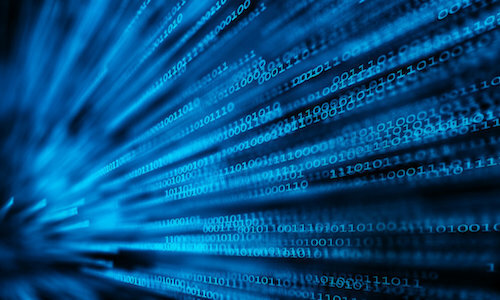 In an interview, University of Washington professor Bill Howe and Drexel University professor Julia Stoyanovich discuss the creation of synthetic datasets for social benefit via their DataSynthesizer project. "We consider the generation and use of synthetic data a critical ingredient in facilitating ad hoc collaborations involving sensitive data," Howe says. He notes the DataSynthesizer project aims to develop viable tools to make synthetic datasets representative of the original data while providing strong guarantees against privacy violations through the use of cutting-edge privacy protection techniques. The tool produces a summary of the actual sensitive dataset, adds noise to the summary to maintain privacy, and then generates a synthetic dataset from the noisy summary. "When appropriate, privacy-preserving synthetic datasets can be released in lieu of real datasets, if real datasets are sensitive," Stoyanovich says. "Our DataSynthesizer tool, its extensions, and other tools of this kind can be used for this purpose." Researchers at the University of Utah have determined a special kind of multilayer perovskite can be deposited on a silicon wafer to create a vital component for future communications systems that use the terahertz spectrum, thus enabling cellphone and Internet users to transfer information 1,000 times faster than currently possible. The team says this process allows the modulation of terahertz waves passing through the device by using a simple halogen lamp. The researchers say they also can layer different perovskites onto the same substrate, and each region could be controlled by different hues from the lamp. "Think of it as the difference between something that is binary versus something that has 10 steps," notes University of Utah professor Ajay Nahata. "Silicon responds only to the power in the optical beam but not to the color. It gives you more capabilities to actually do something, say for information processing or whatever the case may be." Researchers at the University of Surrey in the U.K. have developed a three-dimensional (3D) morphing face model that has "learned" from different racial faces and can better identify people in two-dimensional (2D) pictures. The researchers found using multi-racial 3D face models improves the accuracy of facial-recognition systems. They also developed "aging effect technology," which is used to identify individuals after a long period of time has passed. The team found this technology is more precise when paired with a model that is taught to learn different races. "We have found that our model that understands black, white, and Asian faces is far more accurate at recognizing 2D faces than the typical all-in-one models used today," says the University of Surrey's Zhenhua Feng. Surrey professor Josef Kittler says facial-recognition technology will help society protect people's possessions, as well as providing better security for data and keeping citizens safe from harm. The Cosmos computer code is driving supercomputer models of black hole jets and is used to investigate other unusual space phenomena, and since 2008 the Texas Advanced Computing Center (TACC) has supplied computational resources for the code's development. College of Charleston professor Chris Fragile recently recruited the eXtreme Science and Engineering Discovery Environment (XSEDE) virtual organization to optimize the CosmosDG code for TACC's 18-petaflop Stampede2 supercomputer. TACC's Damon McDougall says this task involves combining two forms of parallelism into a "hybrid parallelism" paradigm, and Fragile credits McDougall with "helping us make the codes more efficient and helping us use the XSEDE resources more efficiently so that we can do even more science with the level of resources that we're being provided." 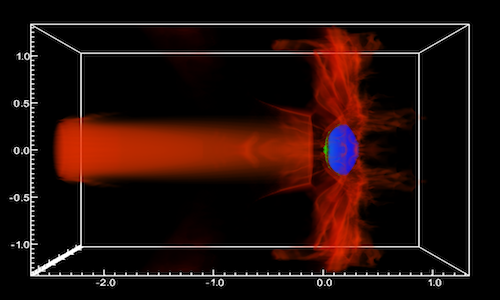 Fragile describes the Cosmos simulations as dual-purpose, in that they help scientists better understand astrophysical phenomena's underlying physics, and interpret and predict astronomical observations. Researchers at the Korea Advanced Institute of Science and Technology (KAIST) in South Korea have developed an ultra-flexible organic flash memory. The new memory device also exhibits a significantly long projected retention rate with a programming voltage that matches current industry standards. KAIST professors Seunghyup Yoo and Sung Gap Im say the technology can be applied to non-conventional substrates, such as plastics and papers, to demonstrate its feasibility over a wide range of applications. The researchers utilized thin polymeric insulators grown with initiated chemical vapor deposition (iCVD), a vapor-phase growth technique for polymers. The researchers found when the iCVD-based polymeric insulators are coupled with rational device design and material choice, they can make a significant contribution to flash memory technology. "This study well illustrates that even highly flexible flash memory can be made to have a practically viable level of performance, so that it contributes to full-fledged wearable electronic devices and smart electronic paper," Yoo notes.